The government has sanctioned works to upgrade the pier at Rosses Point. 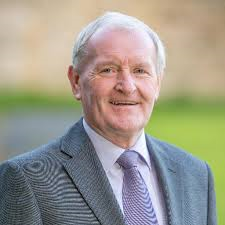 Local Fine Gael TD, Tony McLoughlin said that Minister for Local Government Simon Coveney has informed him that the enhancement works have been approved by his department. Funding can now be applied for “under the specific funding mechanism for piers,” he said. The upgrade, he added, will involve the extension to the slipway and remedial works to the existing slipway. There are also proposals for the provision of a floating pontoon, access gangway and mooring/anchoring arrangements site. Cost of tyre change to rocket. Meanwhile, Roscommon junior minister for the environment, Denis Naughton has come under fire over pending legislation to up the cost of a tyre change. Michael Healy-Rae called Naughton’s attention to a protest outside the Dail where, he said, “hard working people” were objecting to measures that are set to drive up the cost of tyres. The Kerry TD said the measure would inflate the cost of car tyres by a sweeping €13. For hauliers, the increase would be €15 or more. This apparently is high on the government agenda. Healy-Rae went on to remind Naughton of the likely consequences of the proposed measures. Naughton said a handful of people were protesting outside the Dail. Naughton said his new recycling charge for car tyres will be “approximately” €2.80.